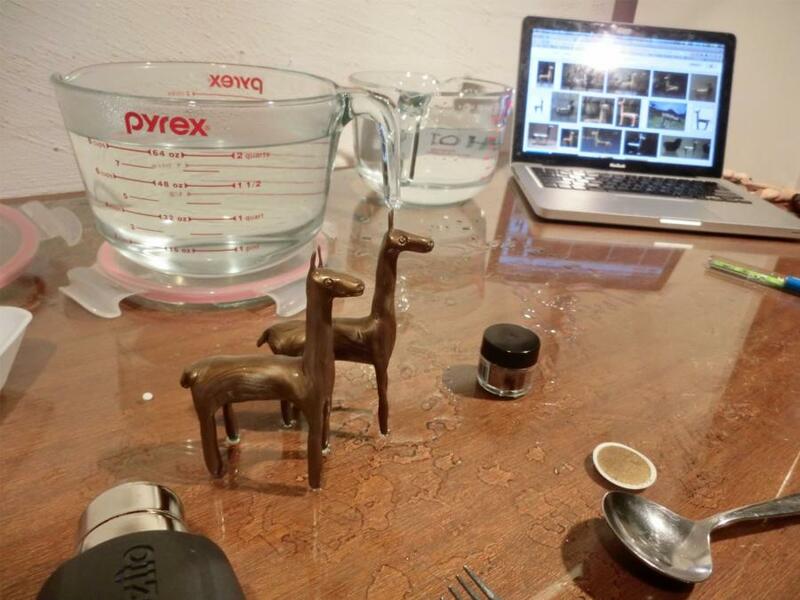 We made a pair of gold llamas by mixing powdered metallic pigment into Plastimake. 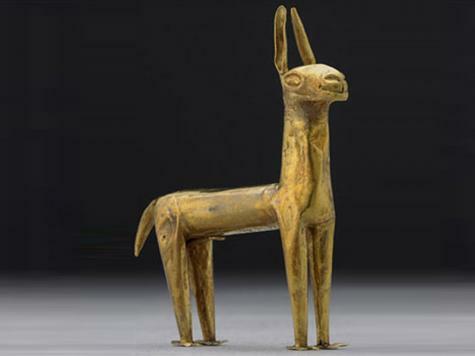 These figures were inspired by some gold llamas we spotted at the National Gallery of Australia's "Gold and the Incas" exhibition earlier in the year. 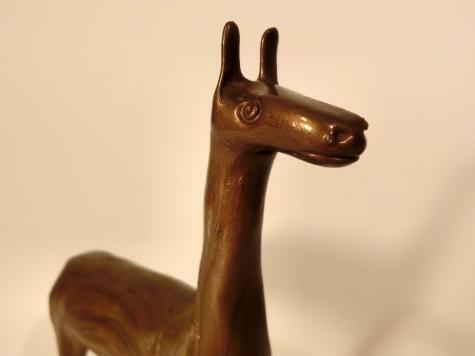 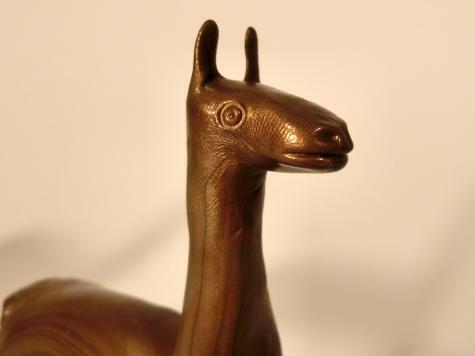 Each llama required 35g of Plastimake Sculpting Formula and 0.5g of metallic pigment. 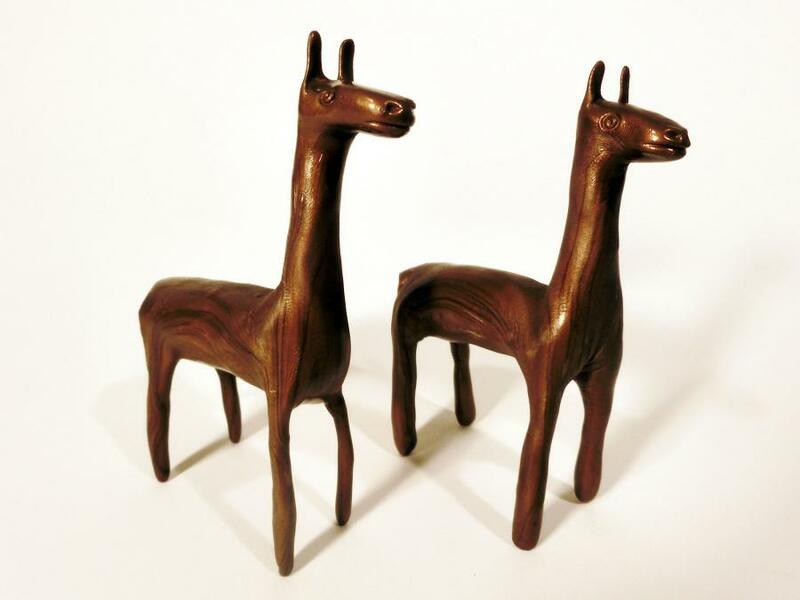 We used Jacquard Sunset Gold pigment for these llamas, however any metallic pigment that you can find at your local art store should do the trick.